Whaddya know? Sometimes soap operas actually listen to their fans. 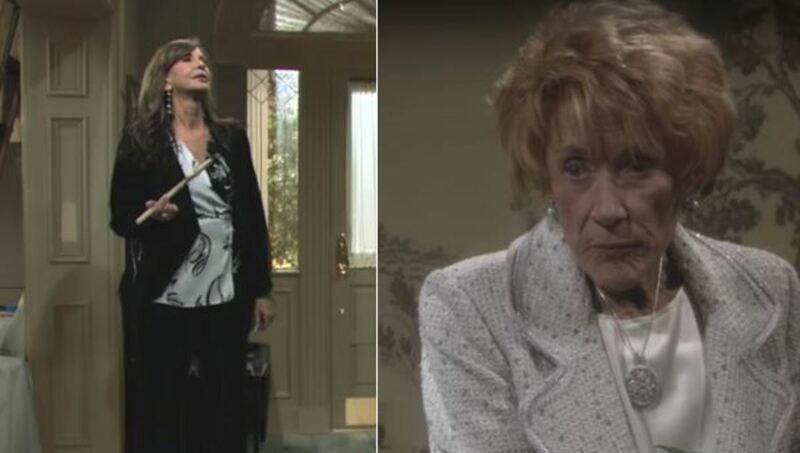 The Young and the Restless viewers were too through when veteran soap opera slayer Jill Farren Phelps "revamped" Katherine Chancellor&apos;s (the late Jeanne Cooper) iconic mansion set — transforming a regal fictional estate that screamed old money, into a drab, gray bachelor pad. Fans weren&apos;t the only ones pissed off. I hear the suits at CBS Daytime pitched a collective fit when Phelps pulled this move without asking for permission. Enter Jess Walton. Bravo, Y&R and CBS-D, Bravo. Now for a bit of sour to go along with the sweet... If this soap opera takes me back to the days of Jill constantly pimping her Aussie step-spawn Cane (Daniel Goddard) over John Abbott&apos;s baby boy, I just might make the evening news! What mother steals her son&apos;s company to make him share it with her stepkid? Grrr....Okay, let me go watch the clip of the pretty Forget-Me-Not yellow walls again to steady my nerves.